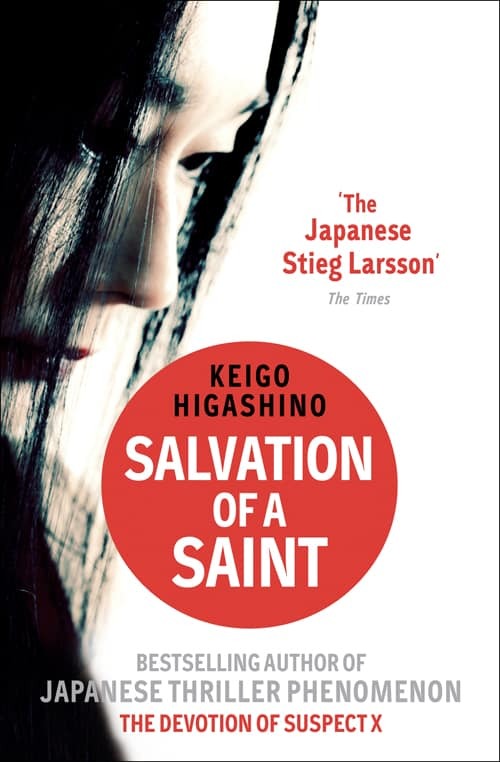 My first book from the extremly prolific Higashino Keigo (東野 圭吾): Salvation of a Saint. Translated into English in 2012, it is the forth in the Detective Galileo series, where a bit weird scientist helps two detectives solves the perfect crime. Yoshitaka Mashiba, married since about one year, is found dead in his house while his wife is on a trip to her family in far Hokkaido. The only possible suspects are his wife, Ayane, who has been far away, and her apprentice Hiromi Wakayama, who is somewhat more involved with the two than initially thought of. The senior police detective Kusanagi refuses to believe that it was the wife Ayane, also because he feels attracted to her. The younger police detective Utsumi’s instinct is guiding her to track the wife. With hardly any facts to base the investigation on, they contact Detective Galileo, the scientist Manabu Yukawa, and (ex-)friend of Kusanagi. I was very positively surprised from that book. Looking at home many books Higashino is shipping out, I was expecting some mass-production faceless book, but indeed it is very well written, keeps the reader attracted through the whole story with all its twists. Up to the very end I still played with the idea that it was someone else than the real murder. It is a good book to relax, to read after a working day. No deep thoughts, no challenging self-reflection, but a very well written, enthralling, and entertaining book for a relaxed evening.